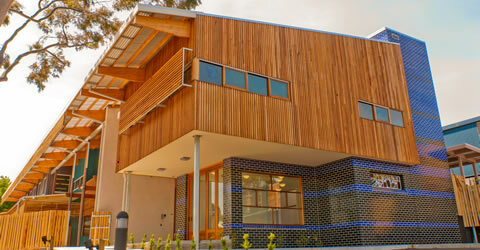 The Eunice Seddon House in Dandenong is a joint venture between Wintringham and Wallara on a 6.5 Hectare site. 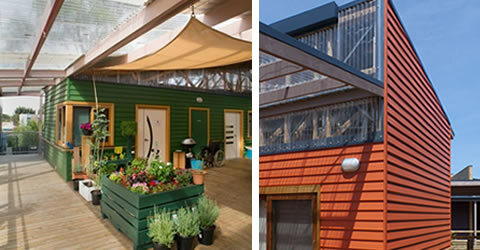 Wintringham, who provide affordable housing and support services for frail, elderly and homeless people, have built a 60 bed residential aged care facility complete with commercial kitchen, laundry and associated communal lounge, dining and support rooms. 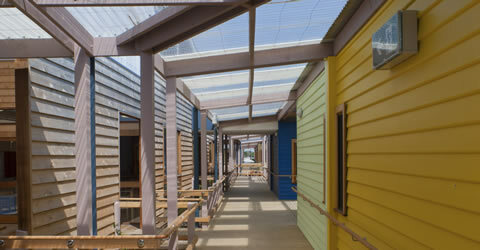 >Wallara, an organisation that supports and enhances the quality of life for people living with disabilities, has built a new Head Office, two Assisted Living Residences, three Independent Living Units and a high care Community Support Centre. 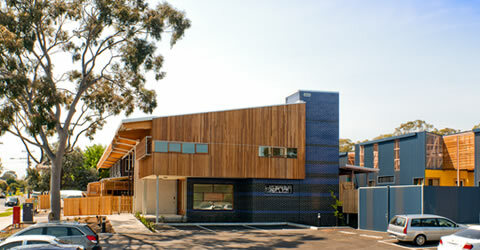 This pioneering integrated care facility is the first of its kind in Victoria. Wintringham was awarded the prestigious United Nations Scroll of Honour in 2011- the most prestigious human settlements award in the world. It's the first time that Australians or aged care projects have been recognised. The project was also the recipient of The Design & Health International Academy Award for International Salutogenic Design. The Design & Health International Academy Awards is the world's leading advocacy programme recognising professional excellence in the research and practice of designing healthy environments.